The Proserpine was a 38-gun Hébé-class frigate of the French Navy launched in 1785. She was captured by HMS Dryad on 13 June 1796, after a 45 minute action 12 leagues off Cape Clear Island. The match was even, but the Proserpine made the fatal error of attempting escape, and she was finally forced to surrender with serious losses. She was commissioned by the British Admiralty into the Royal Navy, becoming the fifth rate “HMS Amelia”. 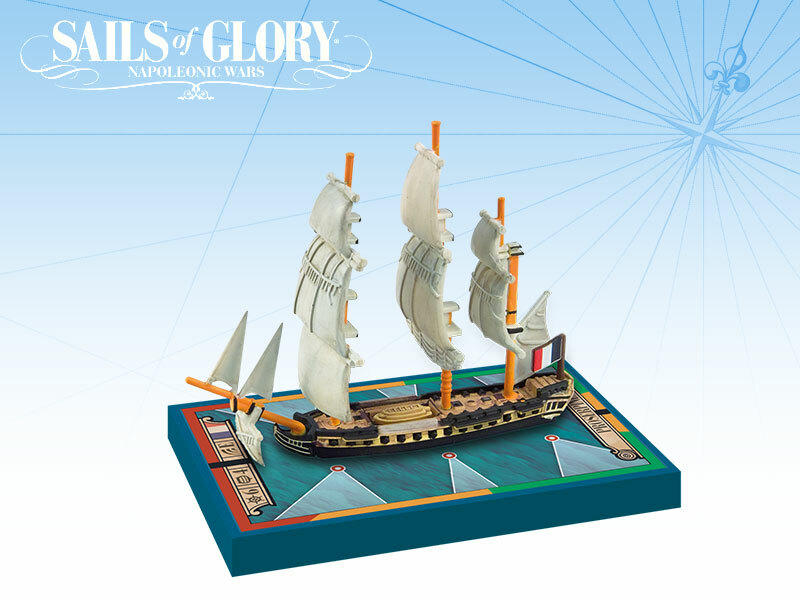 This ship pack can also be used to represent the French frigate “Dryade 1783”. HMS Sybille was originally the 38-gun frigate “Sybille” of the French Navy, launched in 1791 in Toulon. 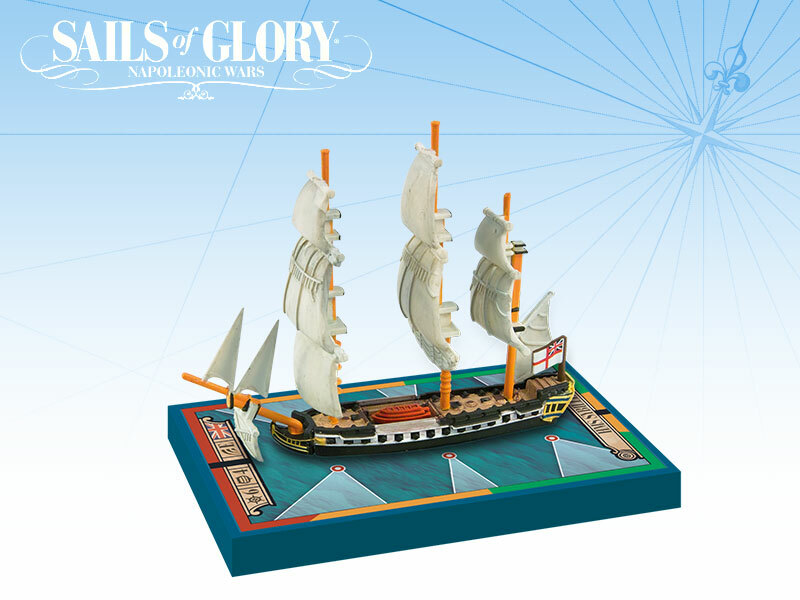 She was captured by the 50-guns HMS Romney in 1794, and commissioned into service in the Royal Navy, where it served until 1833. HMS Sybille participated in several notable ship actions, capturing two French frigates and several privateers and brigs; and she participated in the Battle of Copenhagen, where it bombarded the city. After the Napoleonic Wars, on anti-slavery duties off West Africa from 1827 to 1830, Sybille captured numerous slavers and freed some 3,500 slaves. This ship pack can also be used to represent the British frigate “HMS Amelia 1796”.